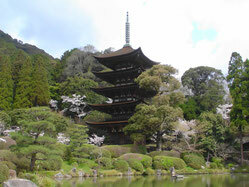 One of the most beautiful five-storied pagodas is in the Ruriko-ji temple in Yamaguchi. 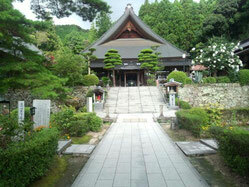 Moreover, the temple has a very elegant Japanese garden. The most wonderful scenes are in two seasons. It is "the time when the temple has spring cherry blossoms", and "the time when the temple has autumnal leaves." You will surely enjoy the trip to Yamaguchi called "Kyoto which is west." A "Twenty Century pear" is a kind of a Japanese pear. It is a specialty of Tottori. It has a very fresh and delicious taste. This Japanese pear was discovered at the end time of the 19th century. The discoverer was impressed by the taste of this Japanese pear, and he thought that "this Japanese pear will turn into a wonderful pear representing the 20th century to be come soon". And it was named the "Twenty Century pear." As the name suggests, it was set to one of the most wonderful pears in Japan when the 20th century came. And the pear came to be known in all parts of Japan. If you travel to Tottori in autumn, you will be able to eat these wonderful fruits.